A twig quickly deflects a camouflaged bow hunter's arrow. This buck will live another day. 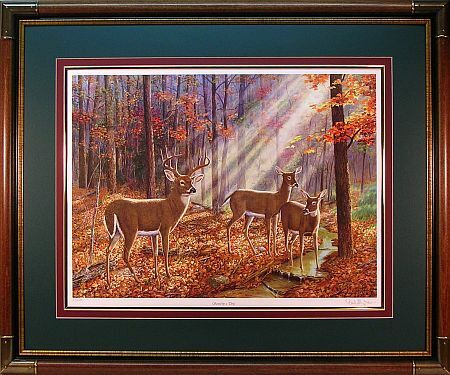 Image Size: 17 3/8" x 23 3/4"
Frame Size: 29 1/2" x 35 1/2"
This print contains 12 hidden wildlife animals in the background!